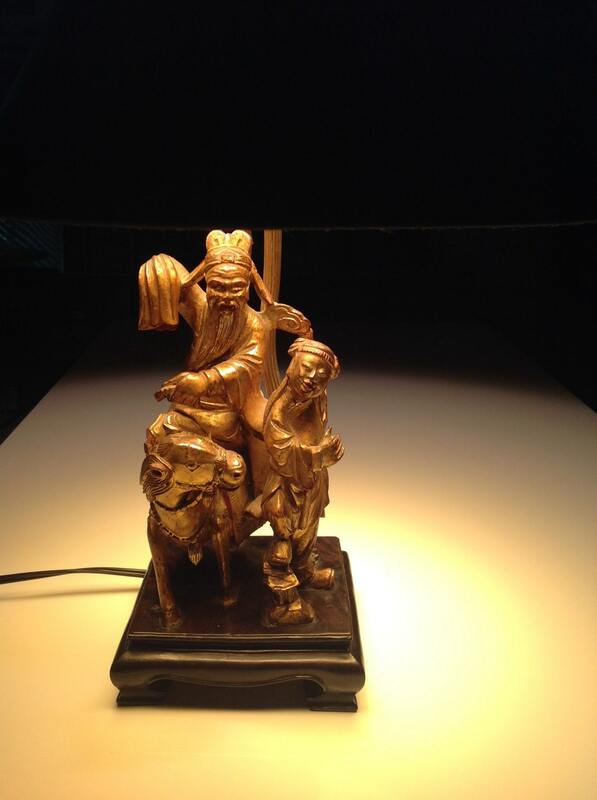 Offered is an exciting antique Chinese lamp. 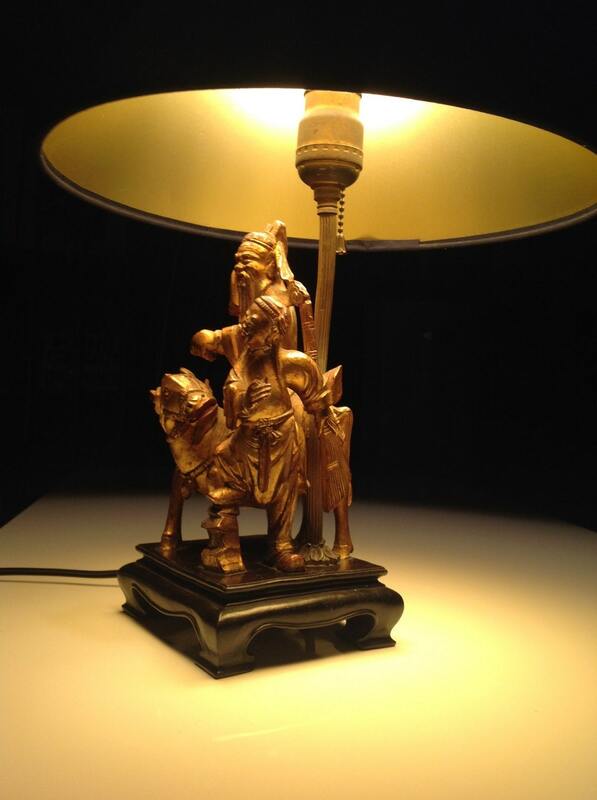 This lamp features a figural depiction of famous philosopher and poet, Laozi, riding a water buffalo on his way from China to India where he was said to have discipled himself to the Buddha. According to the legend, the young man assisting him had been a former student. 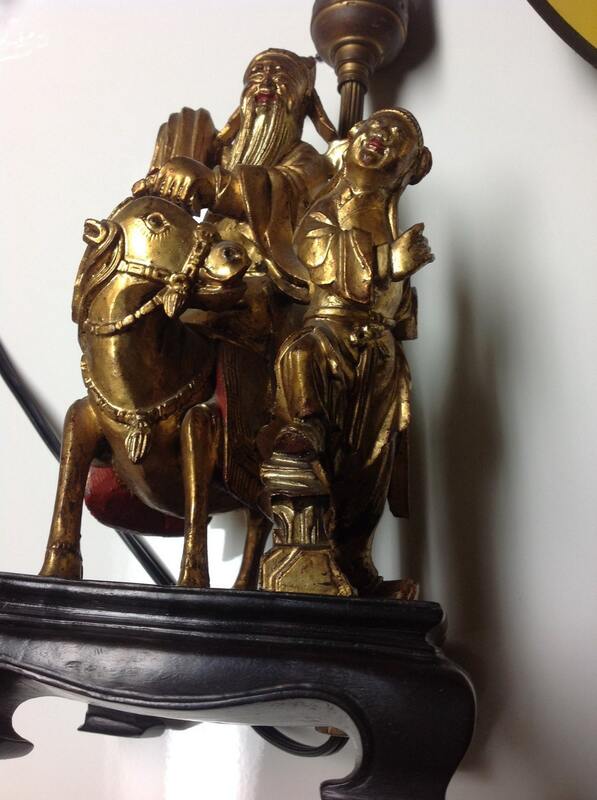 The statue is old, probably 19th century and is mounted to a fine hand carved wood base. 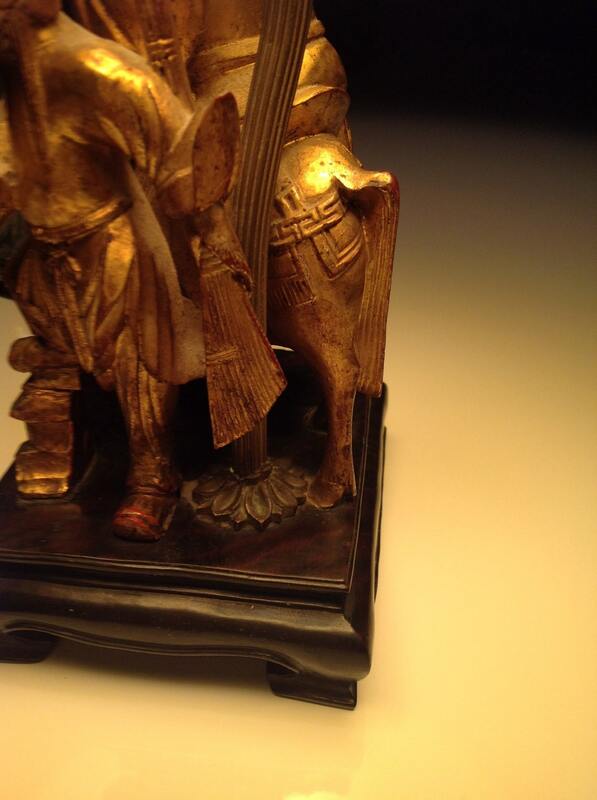 Statue is gilt wood with some red lacquer highlights. Lamp is probably ca. 1950-1965. 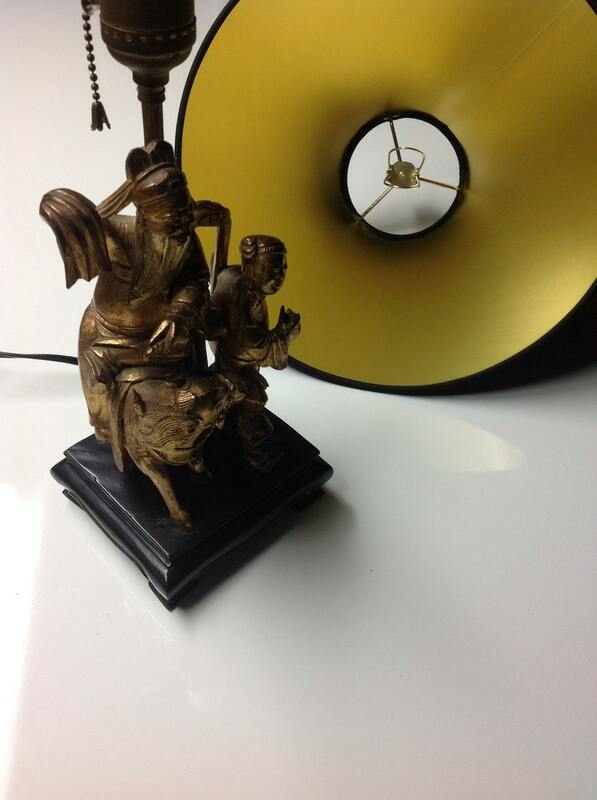 New shade (bulb clip style) is black with gold interior-- a perfect pairing. Simple vintage brass button finial. Vintage pull chain. Lamp socket and cord have been replaced in house to ensure that all electrical components are safe and secure. Glazed 40W torpedo style bulb is included. Shade: 4" x 7" x 12"
Conditions. Lamp is perfect. There are some condition issues to the statue/base. Bull is missing the tip of one ear. Reins are missing two sections. Natural age related split in the wood at the buffalo's buttocks. These are subtle losses and are consistent with the antique character of the piece.